Zoom Wireless (www.zoom.co.ug), a commercial wing of SINFA Uganda LTD, is now officially delivering the most affordable, unlimited high-speed Internet access to businesses and residences in and around Gulu, Uganda. With EveryLayer, Zoom deployed fiber-backed, carrier grade WiFi network and was able to deliver an affordable, high-speed service within 12 weeks with 10 times less capital and operating expense than traditional LTE networks. Zoom Wireless (www.zoom.co.ug), a commercial wing of SINFA Uganda LTD, is now officially delivering the most affordable, unlimited high-speed Internet access to businesses and residences in and around Gulu, Uganda. On January 23, 2015, Zoom Wireless was granted its commercial ISP license, clearing the way to offer commercial service in Gulu and implement plans for regional expansion. Zoom Wireless is offering Internet services for corporate customers with speeds from 1-9 Mbps and small business/residential options of 512 kbps, 1 Mbps or 3 Mbps at approximately 50% of the rates of their competitors and with no usage caps. These services will transform the way people access and use the Internet for business, operations and entertainment by offering reliable, high-speed access that enables use of cloud-based productivity services, streaming video and more. Zoom will also offer cloud-based services and custom-managed Wi-Fi networks for hotels, universities and other campus settings. In August 2014, Gulu based Zoom Wireless began offering a range of corporate and small business/residential grade fixed wireless services as a trial. Zoom partnered with San Francisco-based EveryLayer to design and deploy the network and cloud-based management system. With EveryLayer, Zoom deployed fiber-backed, carrier grade WiFi network and was able to deliver an affordable, high-speed service within 12 weeks with 10 times less capital and operating expense than traditional LTE networks. 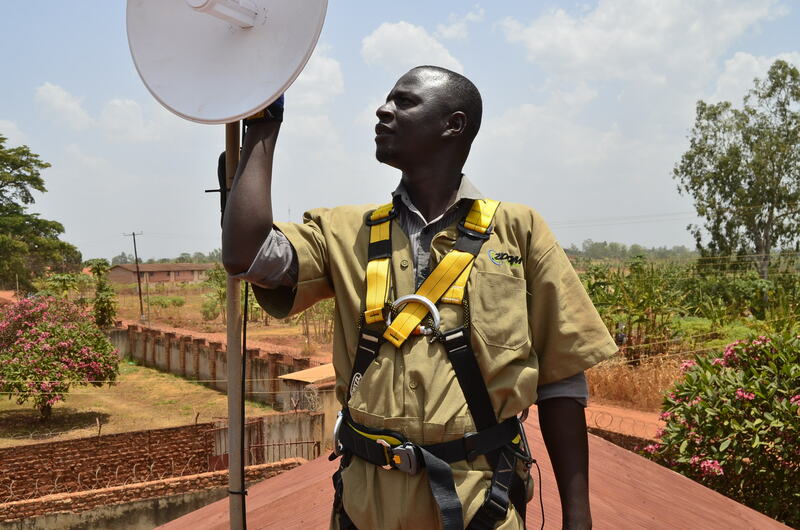 ‘’Given the overwhelming demand for high-speed Internet we are experiencing in Gulu, Zoom Wireless plans to extend its services to all the busy towns in Northern and West Nile regions of Uganda,” says Moses Olweny, Zoom Wireless Sales and Marketing Manager. For more information please go to: www.zoom.co.ug and www.everylayer.com. Zoom delivers the most affordable, unlimited high-speed Internet to businesses and residences in and around Gulu, Uganda.